Have you ever looked in a mirror and wondered if there is anything that you could do to improve the look of ripply-looking skin, otherwise known as cellulite? Cellulite is caused by a layer of fat, underneath the epidermis, that pushes against connective tissues and causes bulges. The visual appearance of your skin looks like small dimples or divots. Cellulite can be very unflattering and can affect your confidence and how you would like to present yourself to the world. One treatment that may help is called Endermologie. Endermologie is an all-natural technique that can help decrease the appearance of cellulite. This technique is not a one-time fix, but instead, is a process of treatments that can lapse over a long period of time. Do you ever wonder how celebrities and public figures always look so nice in their photographs? You may wonder what celebrities have used Endermologie? The answer is several, including; Jennifer Lopez, Angelina Jolie, Gwen Stefani, Bruce Willis, and Sylvester Stallone, just to name a few. What Exactly is Endermologie and Does Endermologie Treatment Work? 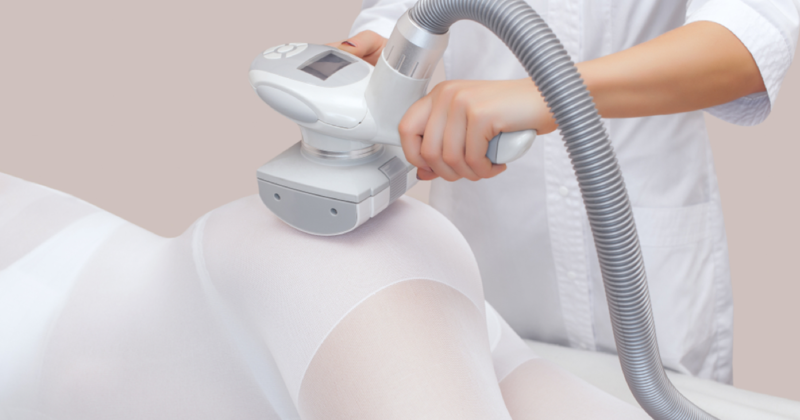 Endermologie is the technique of using a mechanical device to stimulate cells within the body that aid in relaxing specific fat cells, thus improving circulation (blood flow) within the body and improving the appearance of cellulite on the skin. Endermologie, within the United States, is FDA approved. The Endermologie equipment, which was developed by a French plastic surgeon in 1997, and consequently patented by LPG, consists of two main parts; the Roll, otherwise called the rollers, and the Lift, otherwise called the valves. During a treatment, the rollers and the valves work simultaneously, to pull and move the targeted skin tissue, to create a mechanical-stimulation action. This gentle pulling, suction, and rotating of the skin sends signals to deep fat cells within the body, to create the ability to relax and release collagen and stimulate the production of elasticity, from within. Endermologie is typically pain-free, and most people report that it feels similar to a deep-tissue massage. However, some side effects that people do experience are some soreness, at the site, after a treatment. Time will heal the soreness, as well as you staying properly hydrated after the treatment. Does Endermologie Cellulite Treatment Work? The short answer is, yes! As mentioned before, treatments need to occur in multiples and may take several treatments before results are seen. There is also a need to maintain the perfected appearance, so a maintenance schedule, usually on a monthly basis, is required after the first initial set of treatments. You may be curious about how long does Endermologie last? An Endermologie treatment will last approximately 45 minutes per session. To see positive results, the initial set of treatments usually includes about 13-15 sessions. After that time, the maintenance program will begin. Treatments are either offered on an individual session basis or offered as a package that contains several sessions. Since insurance companies do not cover Endermologie, due to the technique’s cosmetic purpose, it can become quite pricey for some folks. The range of pricing for Endermologie treatment has a very large range, based on deciding factors, such as; what area is being treated, how many treatments will be required, and location of the treatments. However, a national range per treatment is anywhere from $95-$120. If you want to know the prices at Sepi Spa, just call 310-998-1958. Endermologie is an outpatient treatment, so there is no need to pay for additional accommodations that could be associated with Endermologie treatments. There is also no need for any anesthesia, so that is also an expense that you will not incur. Perhaps with the need to control a little bit of soreness or discomfort following a treatment, you may wish to purchase some Ibuprofen or Acetaminophen, though it’s uncommon. Does Lipomassage by Endermologie Work and What is Endermologie Lipomassage? Lipomassage is the technique of using a cream that aids in breaking down fat cells, along with either a manual massage or with an Endermologie treatment. The cream consists of several ingredients, including; De-ionized water, silicone blend, glycerin, and several other things. Some users have reported a warming sensation when using the cream. Others have reported a type of allergic reaction to it when using it as a tissue massage. It is probably best to try a small amount in a specific area of your body before applying to a larger area. A one-ounce container of Lipomassage sells for approximately $10; however, this amount can be used up pretty quickly, so some people will find this to be an expensive technique, especially when blended with an Endermologie treatment. The use of Lipomassage yourself is not a substitute for a professional therapist. The most effective route when trying to treat cellulite and improve your body function is to engage a professional for help with your particular needs. There is some controversy regarding the benefits of using Lipomassage and the thought of, “does cellulite massage work at all”? However, most feel that it is a nice addition when experiencing Endermologie, simultaneously. One user also states, (regarding Lipomassage), “Lipomassage is not just about looking good and forgetting the diet. The massage itself will never take the cellulite away if the client hasn’t changed the way they see the body. What I mean is that the body has to treated as a whole. The client needs to understand what cellulite is and why she has it. By doing that, they will start having a healthier diet, and the massage will be the compliment to get their body in a better shape”. What is Endermologie Body Sculpting? Endermologie body sculpting is a form of improving the appearance and the dynamics of the human body. Many outdoor enthusiasts or athletes use Endermologie as a method of improving blood circulation, lymphatic drainage, inflammation reduction, enhancing their immune system, relaxation, and promoting healthier looking skin. Many athletes push their bodies during exercise, and Endermologie can help relax and rejuvenate their body after such exercise. Endermologie is also used to help prevent the onset of DOMS (Delayed Onset Muscle Soreness). Endermologie can help prevent muscle soreness and tension, as well as improve physical mobility. This type of treatment can help the body recover from strenuous physical activity. You may also wonder, “Does Endermologie tighten skin”? The answer to this question is yes! The Endermologie equipment works in a way that allows the rollers and valves to deeply massage skin tissue, while breaking-up cellulite. This method distributes fat cells more evenly and exhibits smoother, tighter-looking skin. This is a benefit for athletes and non-athletes, alike! Endermologie used after liposuction will help to reduce recovery time, as well as speed-up the healing process, due to the stimulation of blood flow and fluid movement. The use of Endermologie at this important time is definitely a benefit because it will allow you to heal quickly and resume your active lifestyle. The masseur is preparing to make an hardware anti-cellulite massage in a beauty salon. As you can determine, Endermologie is a complex topic, leaving most people, with still a lot to learn about and investigate more information. Along with being used as a cellulite treatment, Endermologie is often referred to as a body-enhancing method that many people worldwide enjoy on a regular basis. Upon your own research, you should decide if it is the right method for you, or you can share your wealth of knowledge about Endermologie with someone else you know.